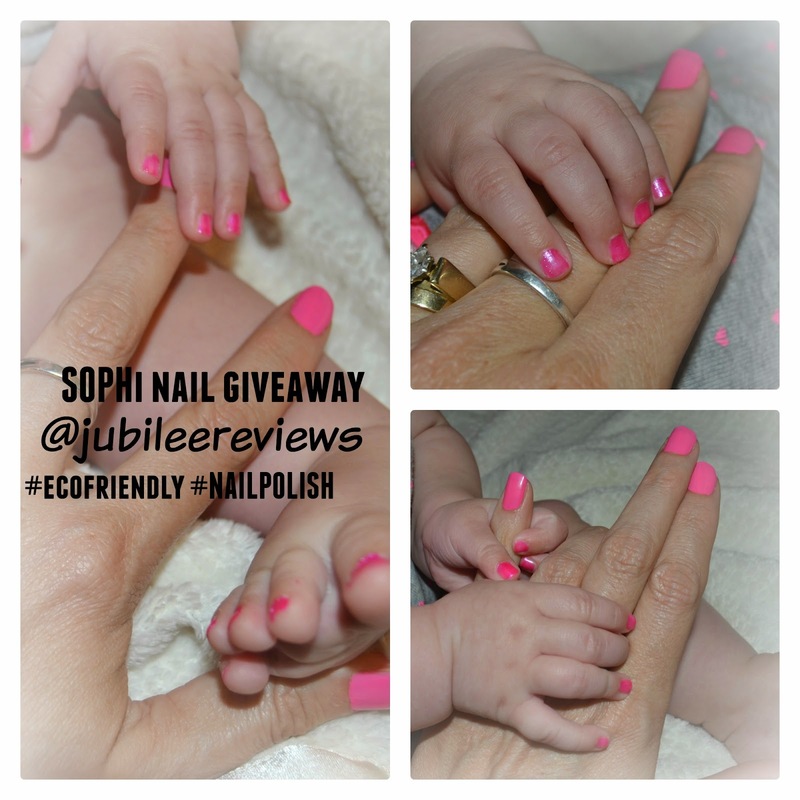 SOPHi by Piggy Paint is an eco-friendly nail polish in a variety of gorgeous colors! No more toxins in order to have your nails look salon ready. 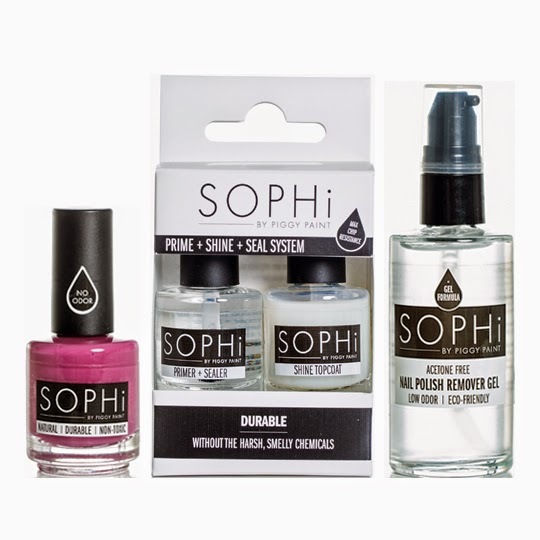 Without the harsh and smelly chemicals, SOPHi creates a durable, high quality nail care system for your best look for women. I know I was totally jealous that they had such wonderful products for young girls, and now it's our turn Mamas! My daughter has used Piggy Paint for a couple of years now. I refuse to let her use the toxic, 'cheap' brands out there. I want to start her off young realizing the eco-friendly products are better for her and the environment. I would not put any other product on my infant baby than the Piggy Paint. As natural as Mud! It is much easier to paint hers while she sleeps. "It's a Girl Thing" is a matte, light pink. Such a fun color for the summer sun. Because it is non toxic, you do want to use the SOPHi prime, shine and seal system for best results. It is also helpful to use a hair dryer in between each coat.The heat hardens each coat for longevity. I love how they are non toxic, for both my baby girl and myself. I find that they tend to chip a little easier than a manicure. I am willing to make that trade though for the eco friendly, non toxic products compared to the chemical laden ones in a salon. SOPHi comes in 12 beautiful colors! Colors for all seasons. The water based formula leaves your nails healthy rather than brittle and yellow. Hypoallergenic and odorless. I really like FEETured Attraction. The name is cute too. I really like the It's A Girl Thing color, it is so bright and pretty! So fun!! My favorite is Incogni "toe".